Located within easy walking distance to the quaint boutiques, cafes, shops, and restaurants of Invermere, Heron Point at Invermere on the Lake overlooks Dorothy Lake, Lake Windermere, Kinsmen Beach, and the headwaters of the mighty Columbia River. 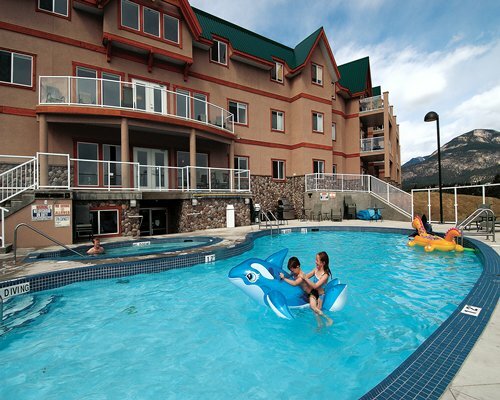 The resort is in the midst of the Kootenay and Purcell mountain ranges of the Columbia Valley in British Columbia. After the day's activities, relax in the hot tub or the heated swimming pool. World-famous Fairmont and Radium Hot Springs resorts, Panorama Ski Resort, and a dozen of the best golf courses in British Columbia are within a 15-minute drive. 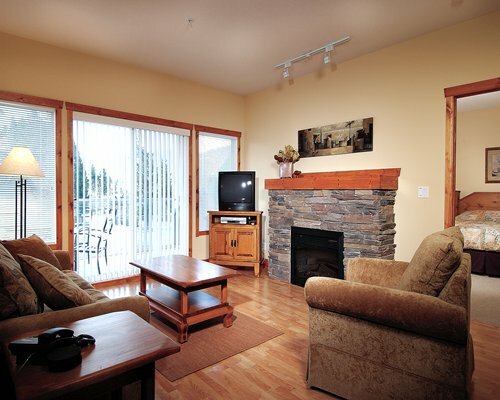 Heron Point is about a 3 hours drive from Calgary International Airport. The very scenic mountain drive from Calgary takes you along the Trans Canada Highway past Kananaskis Country, Canmore and Banff. Travel along Highway 93 along some of the most beautiful and scenic mountain views in Canada. Exit off Highway 93 into Invermere. Travel along Main Street, and at the end of Main Street, turn left on 14A Crescent. Heron Point @ Invermere on the Lake is in front of you. PLEASE NOTE THAT THERE IS VERY LIMITED ON- SITE STAFF AND THE RESORT WILL CONTACT THE MEMBER BY E-MAIL TO ADVISE OF THE CODE FOR THE DOOR TO THE UNIT BEFORE THE DATE OF CHECK IN. "Housekeeping fee for all RCI points reservations: There may be a fee of 80.00 local currency for all units, per stay. Cash only is accepted."